Please join us as our President, Terri Caprio teaches us the wonderful techniques for working with chalk pastels. Terri has become quite versed in using this medium and will impart all her great knowledge on us for a beautiful project! Terri has been a science teacher for many years now as well as a frequent art instructor for our club. She is a truly patient teacher and a fabulous artist! Terri’s love of art is evident in her artwork as well as in her devotion to our chapter. If you have ever wanted to try pastels this will be a great opportunity for you to give it shot! Location: We Care Arts, 3035 Wilmington Pike, Kettering, OH 45429. We are so excited to welcome Debbie Hook back to DAGSO! Debbie is a nationally renowned artist and has been President of the Cincinnati chapter of the Color Pencil Society of America as well as the Convention Director of the CPSA’s annual convention. 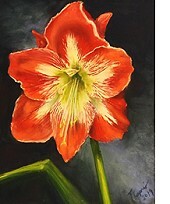 Debbie has become an accomplished artist in several mediums with a host of awards and exhibitions through the years. As well as teaching, Debbie has been asked to judge several local art exhibits. You may view her artwork at debbiehook.com . (This is a reference photo of the project we will be painting.) 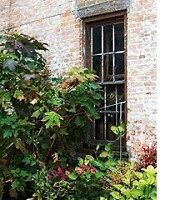 “THE SECRET GARDEN WINDOW” Reference photo is original and copyrighted by Debbie Hook. Permission to use beyond the workshop is not allowed. Design by Marian Jackson MDA. PaintWebs Inc.